Spring is in the air, and so are the ideas on how to spruce up your home. Where do you start? Why not try an accessory in the color of the season? Green. The official color of the year is Emerald, or Pantone #17-5641 to be exact. 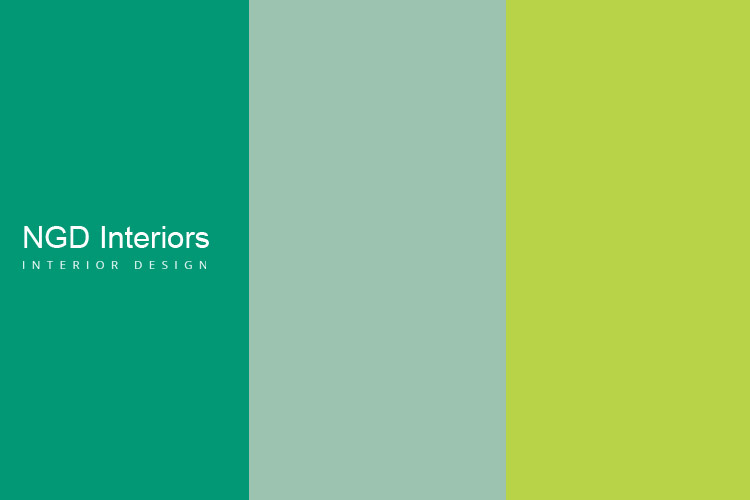 However, shades of emerald, jade, and yellow-green are finding their way into home accents this spring season. In terms of prints, bold botanicals and geometric shapes are dominating the spring scene. Looking for a subtle change? Try adding decorative throw pillows, a new bedspread, or a new area rug. Add this spring color in the kitchen through accents such as serving utensils, a Kitchenaid mixer, or even a refrigerator. Looking for something more permanent? You can even get a kitchen sink in these bright new hues thanks to Jonathan Adler and Kohler. Whether as a small accent or a bold statement, these shades of green aren’t just for St. Patrick’s Day! NGD has been fantastic to work with! Nina completely understood my vision for my office and executed the design perfectly. I honestly don't know what I would have done with out her. She worked well with my budget , and she handled the contractors, who were a bit difficult, exceptionally well. I would highly recommend NGD for anyone looking for a designer!